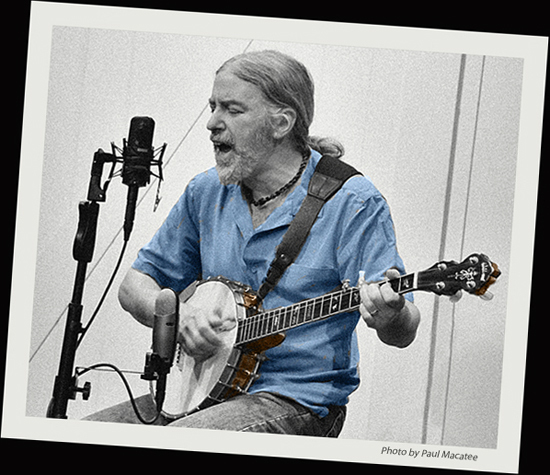 From the very start, "Rooster" Rick Jackofsky held the crowd's attention with his natural storytelling ability and encyclopedic knowledge of the history of American roots music . . . One of the many stickers that adorn Jackofsky's well-traveled guitar case is a quote from Jimi Hendrix: "Knowledge speaks but wisdom listens. " And, people listened intently. I’m quite pleased to be able to feature some music (Nickels and Dimes) on this blog, and what a wonderful song as well. I feel like Woody Guthrie is back. Over the last four decades singer, songwriter, poet, and multi-instrumenatist, Rick Jackofsky has studied, collected, and absorbed hundreds of songs and stories from the oral tradition of American folk culture. His musical journey has taken him around the country performing on multiple acoustic instruments at hundreds of venues from West Texas to Maine. Rick sees his place in the history of American music as an observer and historian, as well as an active participant in the continuing folk process. 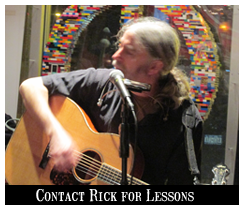 Using his experience performing an assortment of musical styles, Rick begs, borrows, and steals from various genres to honor the American tradition of change and creativity while remaining true to the spirit of traditional rural American music.